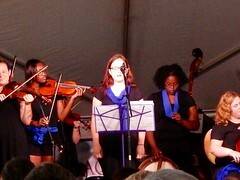 Few photos from the Middle School & High School Holiday Orchestra Concert. All the photos are available on the Flickr Page. Have a great Holiday Break and a Merry Everything! The Holiday Season is upon us with festive times all around us. 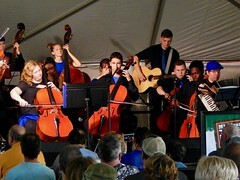 The Mona Shores High School Symphonic Orchestra just finished performing to very positive reviews with the Mona Shores Choir at the Singing Christmas Tree. If you missed it or just want more, then we have a treat for you. 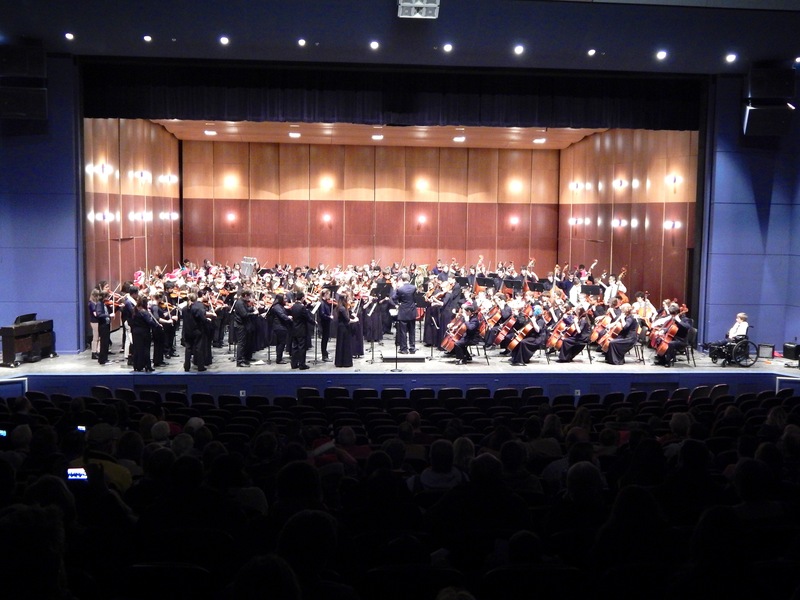 The High School and Middle School Orchestras will perform a joint Holiday Concert on December 10, 2014, 7pm, at the Mona Shores High School Performing Arts Center. This is a Holiday Concert you want to come early to. 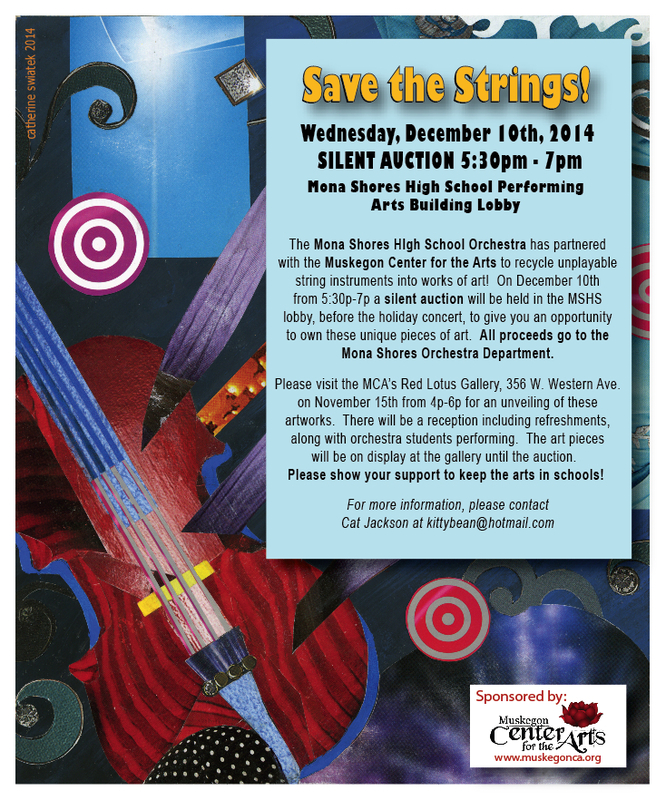 From 5:30-7:00 will be the Silent Auction for Save The Strings. Cat Jackson has done amazing job with The Muskegon Center for the Arts & Red Lotus Gallery to put this fundraiser together for us. Its event really worth coming early to check out! 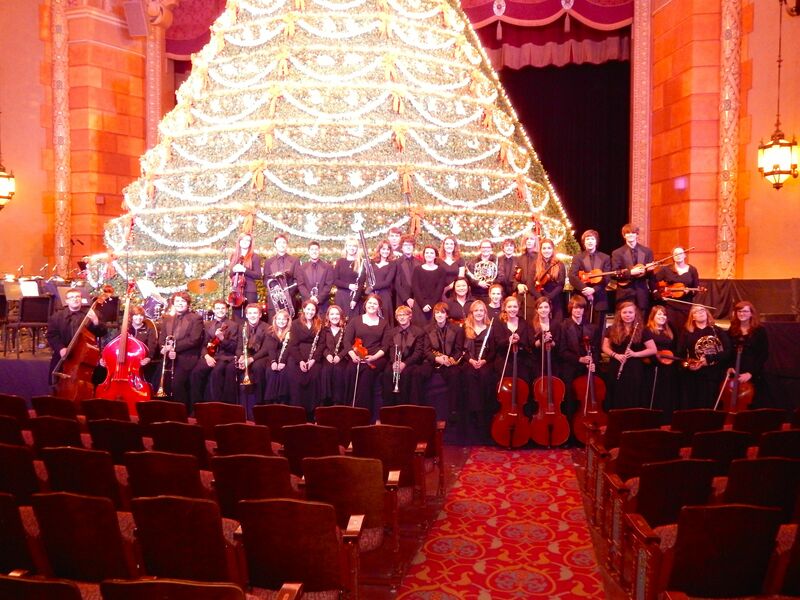 Tonight over 200 Mona Shores Orchestra Students took the stage for the 2013 Mona Shores Orchestra Holiday Show.